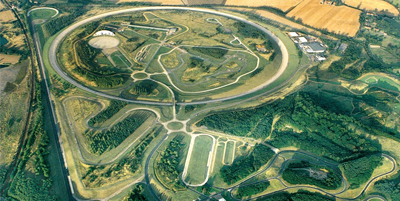 For those who are looking for more focus on vehicle dynamics and handling skills, why not include a session at the Millbrook Proving Ground in Bedfordshire? You can be confident that I am the ideal choice for your first experience of circuit skills as they are intrinsically linked with road skills; after all, your car doesn’t know whether it is on a road or a track and simply responds to driver inputs according to its own characteristics. Whilst some previous experience of coaching could be considered advantageous before taking one of my Performance Driving courses, it is by no means a requirement as I have many years of experience with drivers of all levels, many of whom are just beginning to explore the principles of higher performance roadcraft and circuit driving techniques. Driving psychology - Interestingly, drivers who differ significantly from each other in terms of their road driving styles, will often respond in identical ways when facing an unfamiliar environment or situation, such as on a track or skid pan. Exploring the ‘human condition’ to better understand yourself is of particular interest to me. Observation and the human eye - Similarly to our psychological responses to challenging situations, our physical responses become affected in virtually identical ways whenever a driver reaches a perceived limit of their skill set or comfort level. Vehicle dynamics – Ask yourself this; when you turn the steering wheel, do you consciously consider the specific angle of your tyres, or do you simply turn the wheel until the car goes where you want it? I often think this is a bit like asking you to describe how you tie your shoelaces. Safer braking techniques from higher speeds - I often liken emergency braking to bankruptcy; we all understand the basic premise but spend years, quite rightly, employing other skills to try and avoid facing it for real. If we do have to face it, we are likely to find ourselves lacking the necessary skills to overcome it. Paradoxically, we will practice these skills to such a high competency level as to reinforce the point that you should not allow yourself to need them. Cornering techniques – Don’t you just turn the wheel until the car goes where you want it? Oversteer and understeer – Many clients are perfectly familiar with these terms but not necessarily confident of giving an accurate definition or explanation of how they’re caused, identified, corrected or most importantly, prevented. Electronic safety aids – ESP, DSC, DSTC, PSM, VSA, to name a few. Ultimately, they’re all variations on the same theme and are best viewed as a grip overdraft facility in my opinion, at least as far as road driving is concerned; only ever necessary when you run out and they all have limited capacity. Driving on reduced grip surfaces and turning the systems off in the safety of a controlled environment, will allow us to further develop your understanding of vehicle dynamics and your car control skills when driving at (or over) the limits of adhesion. The Proving Ground at Millbrook in Bedfordshire is an ideal location for exploring these techniques in safety and with complete freedom, with a wide variety of environments designed to challenge the car and driver whilst allowing you to focus specifically on different aspects of driving. Various packages are available to take advantage of some discounted rates, for those who wish to take courses over a more prolonged period of time; check out the Prices page or simply contact me directly to discuss your requirements.